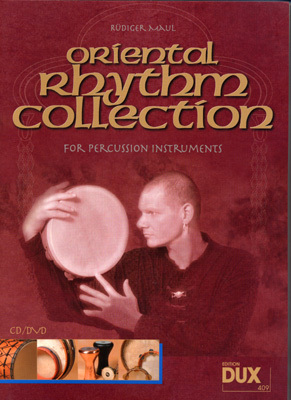 This rhythm collection with 112 rhythms from 21 countries offers a comprehensive insight into the world of the oriental percussion. The differentiating notation makes possible for the knowledgeable as well as the self-taught, a clear understanding of the rhythms, which are illustrated in the accompanying CD. In this way, this book is equally appropriate for beginners and experienced musicians. The structure progresses through 9 chapters, from easy until very complex irregular beats, in which common dance rhythms, as well as the rhythms of the Sufis too are included. Darabukka, various frame drums like the Mizhar, Tar, Bendir, Duff and Riq, Davul, Bongos, Congas, Djembe and Cajon. The ensemble compositions, as stimulation for playing together, are seen on the DVD as well.